Implants and Cosmetic Dentistry training. Dr. Parducho highly committed to continuing education as it allows her to provide the best possible care for her patients and apply the latest developments and technology in dentistry. She encourages patients through education and preventive strategies to have a positive, proactive approach to their oral health, facilitating minimal dental intervention for the long term. Her gentle manner and caring personality help her patients relax and alleviate their anxiety. She is warm, caring and dedicated to creating a comfortable environment that puts her patients at ease. Our team at Beach Smile Dental in Redondo Beach are of experienced and committed to providing the very best dental treatments. Using the latest in dental technology & techniques we are able to provide optimal dental outcomes in Cosmetic Dentistry, Dental Implants, General & Emergency dentistry in our modern dental practice here in Redondo Beach, CA. Whatever your dental requirements are, we are here to provide you all your options & then fully support you with whatever solution you decide on. If you would like a simple dental hygiene visit, a dental amalgam replaced or something more complex like a dental veneer, crown, overlay, bridge, denture or implant or even a full mouth rehabilitation or dental cosmetic makeover; Our dentists, dental hygienist and oral therapists are here in Redondo Beach to help. Our philosophy of good health and well-being is based on an integrated approach which focuses on prevention and healing rather than just disease and treatment. We believe that each one of us is unique and has a responsibility for maintaining good health. 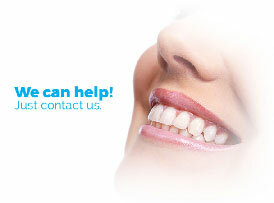 At Beach, we can help you achieve by determining how your oral health is affecting your overall health. By focusing on the process of health and wellness and striving to treat the cause of your problems instead of merely treating symptoms, our method is preventative in nature, and the result is fewer painful and invasive procedures.